Are you looking for fun in Oklahoma? The state doesn't have a ton of theme parks or water parks, but it does have a few places to cool down, catch a wave, and ride a coaster or two. Let's check them out. It can get mighty hot and humid in the summer. That's why outdoor water parks can be welcome places to find relief. Let's run down the parks in alphabetical order. 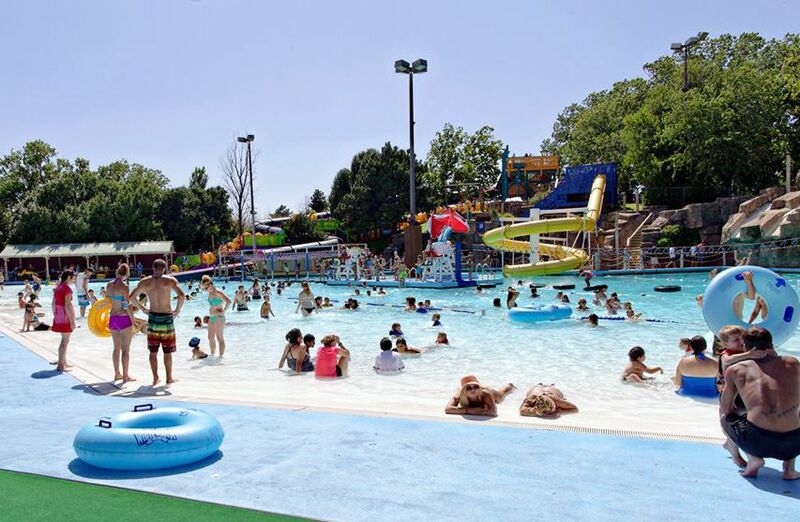 The small outdoor water park includes the 800-foot Paradise River (a lazy river), the Cowabunga Cove interactive water play center, the Riptide Racer mat racing slide, the Banzai Pipeline tube slide, and Bubbler's Beach, a play area for young children. It is part of Andy Alligator's Fun Park (see below under theme parks). Attractions at the small outdoor water park include a wave pool, tube slides, speed slide, lazy river, children's play area, and an arcade. The small, outdoor, municipal park offers two slides, the Willow Creek lazy river, a zero-depth entry pool, and children's interactive play area. The medium-sized outdoor water park features the state's only Master Blaster uphill water coaster as well as a lazy river, wave pool, the Reptile Rush speed slides, a children's play area, an activity pool and body and tube water slides. The park also offers live animal encounters in its Reptile World building. The small, outdoor water park features mat and sled slides, tube slides, a lazy river, activity pool, and Kiddie Cove children's play area. It offers reduced-price spectator rates for those not interested in the slides and attractions. Despite its name, there are no live animals here. The climate-controlled indoor water park is open year-round (although it closes mid-week during the off-season) and offers a wave pool, a lazy river, water slides, including a bowl ride, an activity pool, an interactive water play center with a tipping bucket, and Cub's Cove, a water play area for young children. There are adjacent hotels as well as a campground that have water park packages. Large outdoor water park has more than 30 attractions. Operated by the same company that runs Frontier City (see below), but the two parks are in different locations. It's not so much an amusement park as a family fun center. Weatherproof indoor attractions include laser tag, an arcade, mini bowling, and bumper cars. Outdoor activities include go-karts, mini golf, a climbing wall, and batting cages. In the warmer months, it offers a water park (see above). The small park closed in 2006. Traditional amusement park. Coasters include the wooden Wildcat and the Schwarzkopf-manufactured Silver Bullet steel coaster. No on-site water park, but the Wild West Water Works includes sprayers, small water slides, a tipping bucket, and other ways to cool down. Used to be owned and operated by Six Flags.